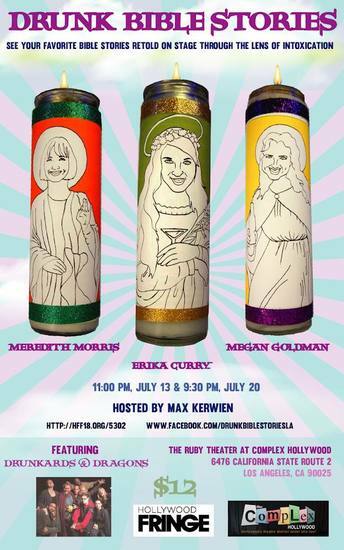 Erika, Meredith and Megan tell your favorite bible stories as best they can remember, after getting totally hammered, with Max Kerwien as their designated driver (host). Local improv heroes Drunkards and Dragons will act out these new and improved stories as you drink along. No two shows are the same!